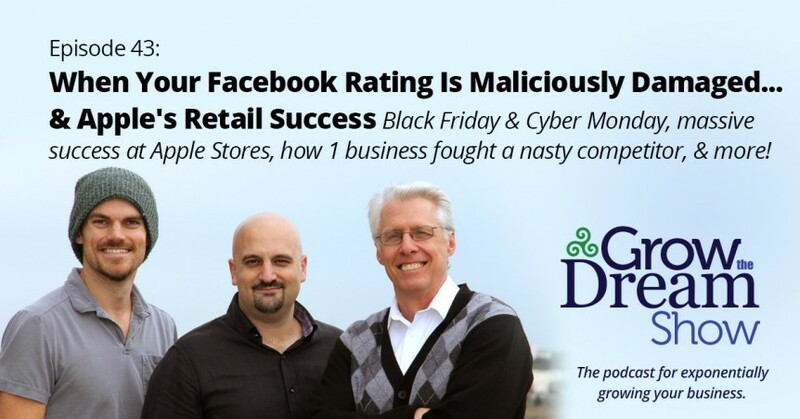 So what happens when your company Facebook page is damaged by a malicious competitor? That happened to a Boston jeweler whose competitor went to Fiverr and paid $5 to cut their rating in half. They turned it around, but it was an amazing road — and great lessons. We also discuss Apple’s amazingly successful retail stores. They strategically turn every detail into a customer spending opportunity. Starts with a great product and customer relationship, but it also turns on the layout of the store. Seth Godin’s Black Friday blog post. Here’s the full write-up from the jeweler whose competition bought 200 1-star reviews on Facebook.